A sure sign that fall is here, the IISG buoy was relieved of its duty to collect data in the nearshore waters of Michigan City, Indiana. This season, the buoy webpage had more than 3,000 visitors, with an average of 23 a day. 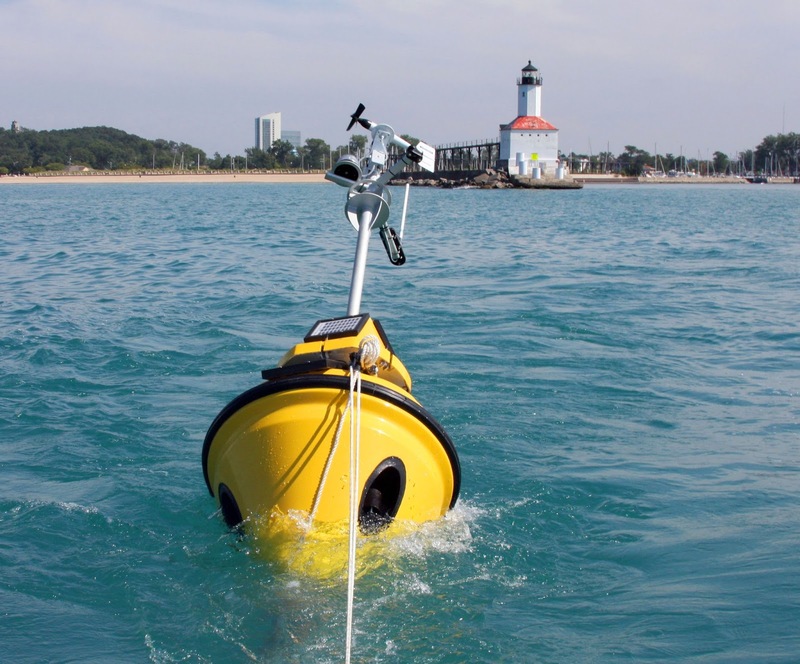 In 2014, the buoy added a new feature—reading temperatures every three feet from the surface to the bottom of the lake. This data is useful for researchers and anglers alike. Buoy data has also aided the National Weather Service, improving the accuracy of wave height predictions and small craft advisories.